The ultimate in go-anywhere Ultrabook now even thinner and lighter than ever! ThinkPad® X1 Carbon is your passport to productivity with stunning 14" IPS display. It thrives on-the-road with 11 hours of battery life, lightning-fast 4G LTE2 and tough carbon fiber durability. In the office, it connects to a full range of devices – even a WiGig dock2 to reduce desktop clutter. The X1 Carbon is effortless to carry, priceless to experience. 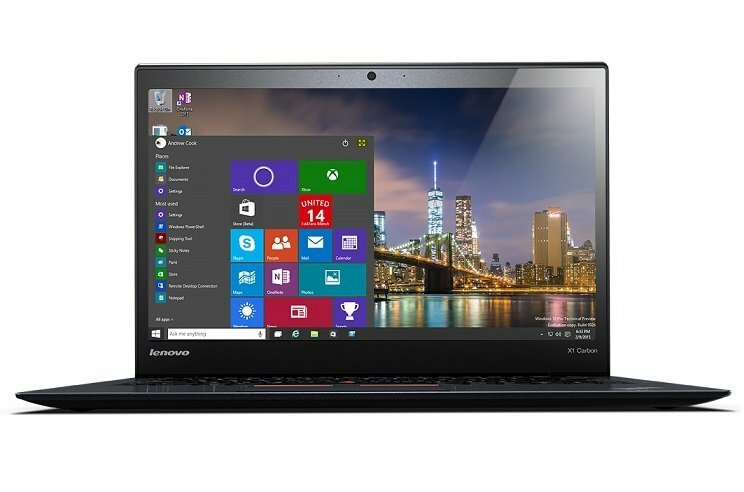 The Lenovo ThinkPad X1 Carbon 20FB001XAU Laptop was added to the Laptops category in September 2016. The lowest price GetPrice has found for the Lenovo ThinkPad X1 Carbon 20FB001XAU Laptop in Australia is $2,383.83 from Printer Barn.